Your approach to Wealth Management should go far beyond simply putting together an investment portfolio. Equally as important are the strategies that need to be implemented to create a Complete Wealth Strategy. Analyzing your individual financial situation is not a one-time exercise. As you grow and experience life changes, your needs evolve at the same time. That is why your wealth plan needs to grow along with you. Our unique discovery process uncovers the values behind your personal vision of success. Mangione & Associates Wealth Management is a part of TD Wealth Private Investment Advice, a division of TD Waterhouse Canada Inc. which is a subsidiary of The Toronto-Dominion Bank. We know how important it is to build your wealth so you can enjoy life’s priorities and achieve your vision for the future. Working together we can develop innovative strategies to help grow your net worth by identifying which credit strategies and investment solutions match your current lifestyle and needs. 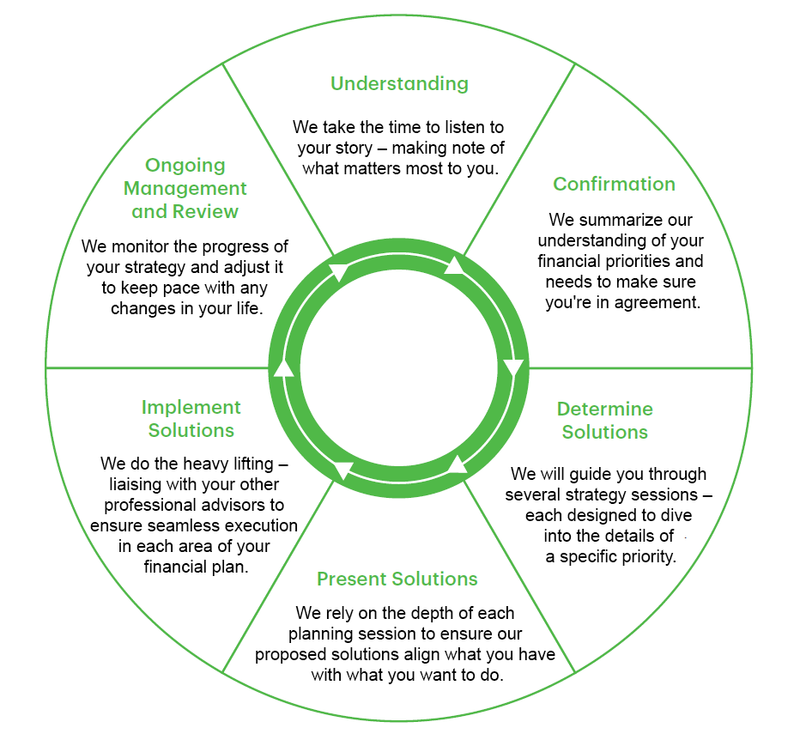 Our team of professionals can work with you to develop an effective plan to help you make your vision a reality. Life is filled with uncertainty and that's why we're committed to delivering advice and solutions to help protect the things you value at every life stage. Whether through comprehensive risk strategies or connecting you with a specialist in trusts, estates and other risk mitigation products, we've got the expertise to create a comprehensive plan that's right for you. You are the architect of your legacy and we can help you with the blueprint. We'll collaborate with you to identify your top priorities, from estate planning and trusts to gifting and philanthropy. Our goal? To help you optimize the transfer of your wealth. 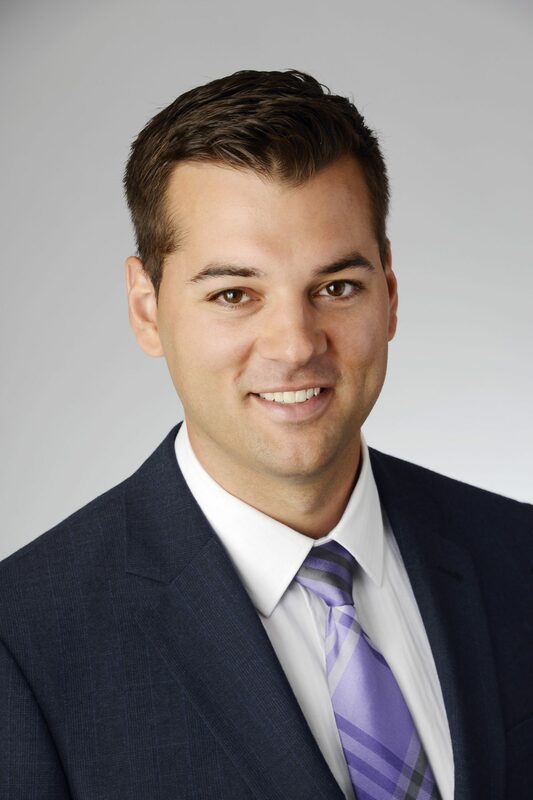 Curtis is an Investment Advisor with the Mangione & Associates Wealth Management team. He has an in-depth understanding of financial markets and economics and uses that knowledge to develop tailored investment, tax and estate planning strategies to help clients work towards achieving their specific financial goals. Curtis is a holder of the Chartered Investment Manager and Personal Financial Planner designations and is a Life Insurance Advisor through TD Wealth Insurance Services. Curtis has also received the Advanced Investment Strategies certification. For over 25 years Anthony Mangione has been helping people realize their wealth and retirement goals. With the backing of a dedicated and experienced service team, he is able to provide a premier level of service and advice to each client. He graduated from the University of Toronto with a Bachelor of Arts (Honours) degree in commerce and economics. Anthony has completed numerous additional courses through the Canadian Securities Institute. Since his early years Anthony has lived in Stouffville. He enjoys spending time at his Lake Muskoka cottage with his wife Esther and growing family. John began his career at TD in 2006 working at progressively senior roles throughout the Greater Toronto Area and York region. John joined TD Wealth in 2012 and has been an integral part of the Mangione & Associates team in all aspects of supporting and building client relationships. John is an Associate Investment Advisor, a holder of the Chartered Investment Manager designation and a Life Insurance Advisor through TD Wealth Insurance Services. John resides in Brooklin, ON with his wife Allison and their two young children Annie and Ryan.